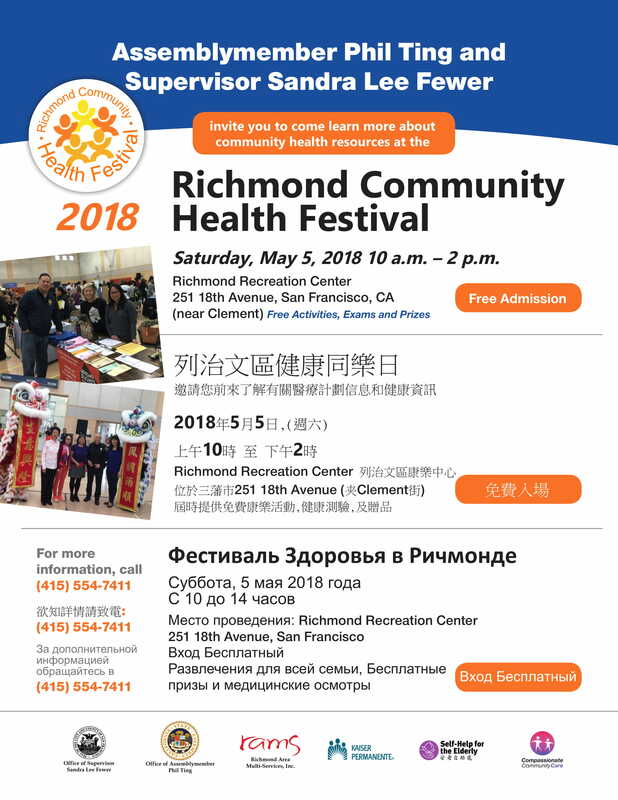 Tomorrow, the 14th annual Richmond District Community Health Festival will take place from 10 a.m. - 2 p.m. at the Richmond Recreation Center. During the free event, residents will be able to peruse stalls from over 40 different community organizations, government agencies, and local businesses. The festival is co-hosted by Assemblymember Phil Ting, Supervisor Sandra Lee Fewer, the Community Youth Center of San Francisco, Richmond Area Multi-Services Inc., Kaiser Permanente, and Self-Help for the Elderly. 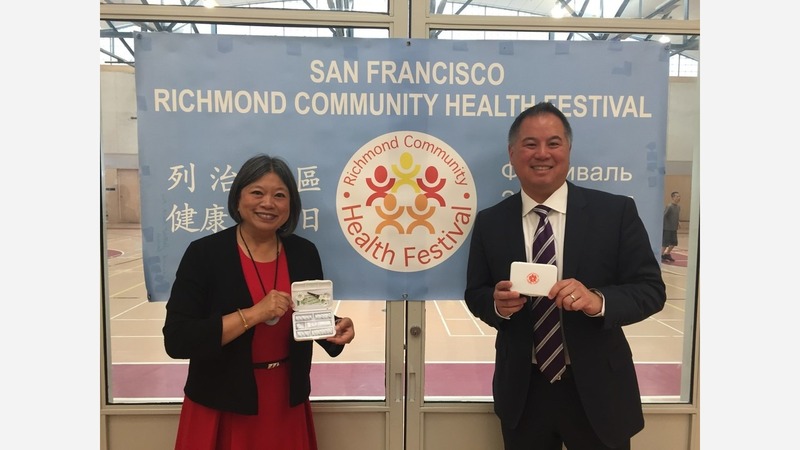 "This annual event is one of the most popular events in the Richmond District every year, with free health screenings, information booths, and plentiful information about how you can maintain a healthy lifestyle," said Fewer at a press conference on May 2. The fair will have multilingual services available, free of charge. The festival will provide health-related activities, including opportunities to learn about Covered California, Medi-Cal, and disaster preparedness. The event is meant to cater to all ages with musical performances, raffles, and fall-prevention demonstrations. Kaiser Permanente, UCSF Center for Maternal Fetal Precision Medicine, and several other medical services will be provide attendees with access to free health information and screenings. Residents will also have the opportunity to work with medical professionals to review medications. Entertainment will include performances from Lion Dance, the Richmond District Senior Choir, YMCA Senior Ballet Troupe, a caricature artist, and a children's table. Several local agencies will be tabling to inform residents of services they provide to the Richmond community including the Department of Children, Youth, and Their Families, Department of Aging and Adult Services, and the Fire Department. In addition, many community groups will offer information about their services for those with disabilities, older adults, people in need of housing, along with counseling and crisis resources. "There is nothing more important than our health," said Ting. "I encourage residents to take advantage of the free services and resources available at the fair, including blood pressure checks and Covered California representatives who can talk about affordable medical insurance plans. Giveaways include first aid kits. It's definitely worth stopping by. The Richmond Recreation Center is located at 251 18th Avenue, San Francisco, CA 94121. For more information, visit the event page.